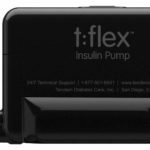 The t:flex 4.8mL Cartridge with t:lock are built to work with the Tandem t:flex insulin pump. 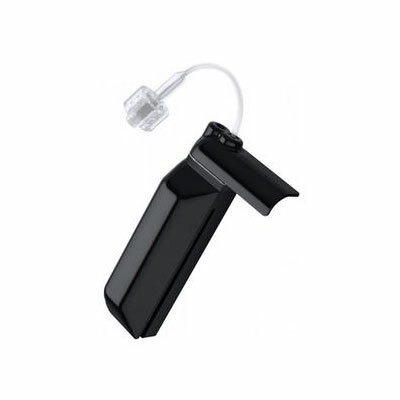 Each cartridge can hold 480 units of insulin, allowing you more freedom and flexibility with your diabetes management. Please note that Tandem’s t:lock insulin cartridges are only compatible with infusion sets that feature the t:lock locking mechanism. These cannot be connected to other infusion sets. 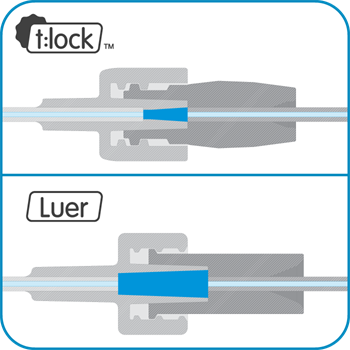 The t:lock Connector was designed based on customer feedback related to the process of filling the infusion sets with insulin. This new design reduces the time required to fill the infusion sets and lowers the amount of insulin used in the fill process by 4.4 unites. 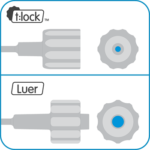 It looks and functions in a very similar way to the original Luer-lock connector. t:lock Luer-Lock Connectors make the insulin filling process faster. Lowers time required to fill infusion set by 30 seconds. Lowers the amount of insulin used in the fill process by 4.4 units. 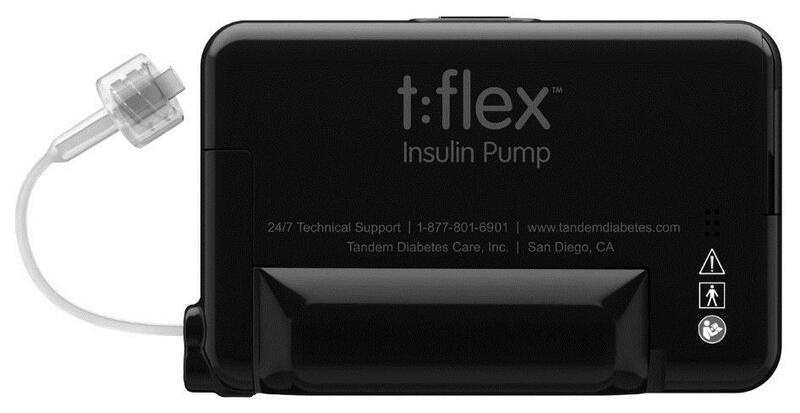 Designed to be used with the t:flex Insulin Pump System.